The university consists of three schools: the School of Social Science and Law, the School of Humanities and the School of Engineering. 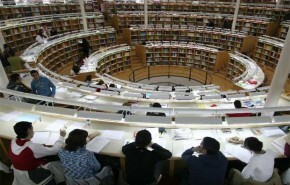 Studying in Madrid is to study in one of Europe’s principal capital cities. As such, it offers you a wide range of cultural, sports and leisure activities. Madrid is one of the most dynamic cities in Europe and it holds a great attraction for students from all over the world. The university campuses are very well connected to the city centre by public transport. Madrid has a rich historic, artistic and cultural heritage; it is home to some of the best art museums in the world. Madrid also offers the possibilities of practicing a wide variety of sports, including winter sports as there are several ski stations in the Madrid region. In addition, of course, Madrid nightlife is legendary.